As the feast of St Catherine gets closer, one starts listening to musical pieces linked to the feast days and its celebrations. 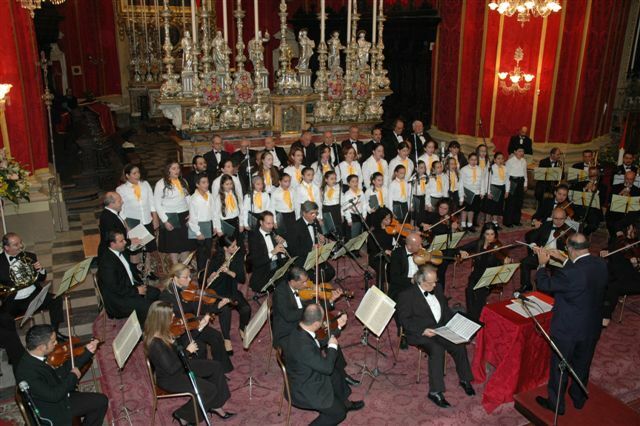 Although band marches are the most popular form of music linked to these celebrations, fortunately at Zejtun, we have a rich archive of sacred music pertaining to Maestro Carlo Diacono. This music is a centre of attraction to all those attending the religious celebrations in the parish church during these days. 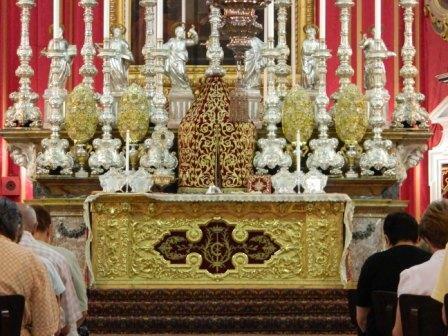 During these days, the Orchestra Diacono performs the best selection of sacred music pieces during the different religious functions in the festa week. 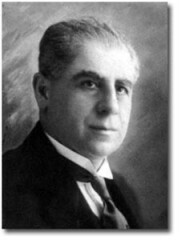 Without doubt the most popular piece of sacred music played during these days is the antiphon Prudens et Vigilans which Carlo Diacono composed in 1926. The short video displayed below was shot during the festa week of 2011. The recording is not a professional one, however if you would like to listen to a professional recording of this antiphon it is recommended that you should have a CD recording of the Sacred Music Performance held during the centenary celebrations of 2005. This CD can be bought from the Zejtun Parish.